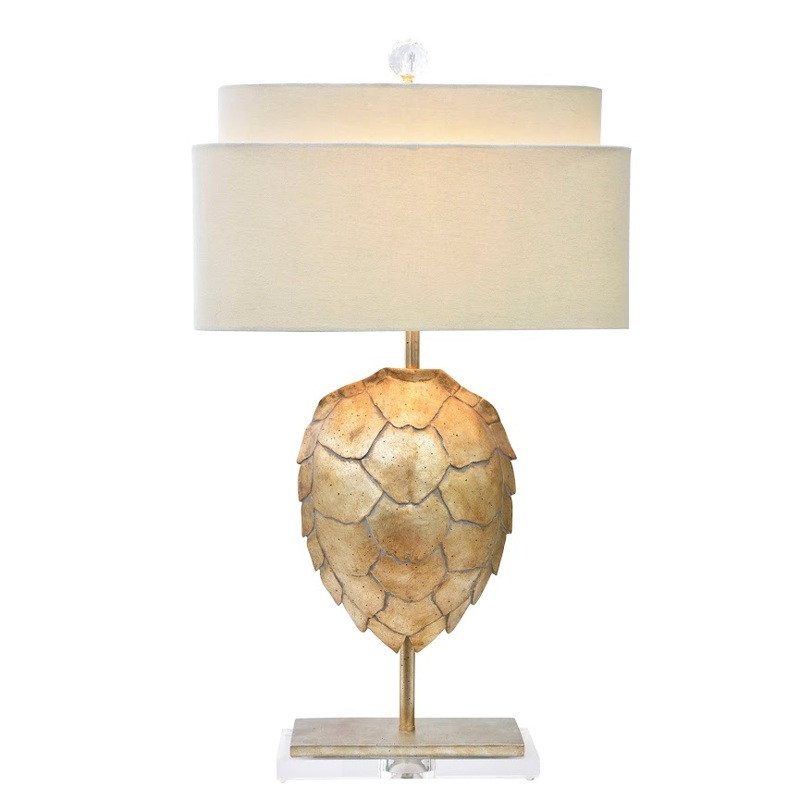 Silver/gold metalic tortoise shell lamp with linen shade. Resin and acrylic. 60 Watt max.